Several coats of paint saturate the wood for rich, beautiful color. 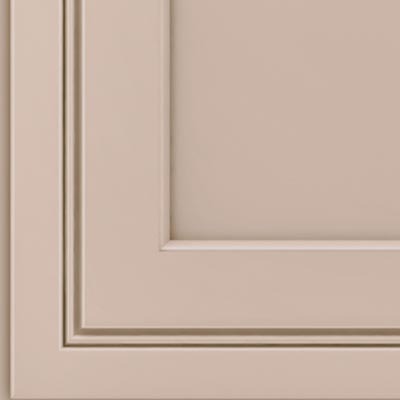 KraftMaid is the right choice if you enjoy the authenticity of real wood versus engineered wood, which is often used elsewhere in the marketplace as a base material for painted finishes. 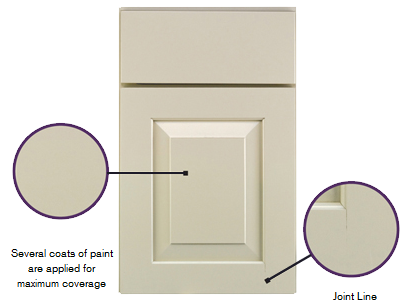 The characteristics of the wood are less prevalent with painted finishes than with stained finishes. Since wood naturally expands and contracts, the joints on a door do the same. You may see hairline cracks in the finish surface at the joints. 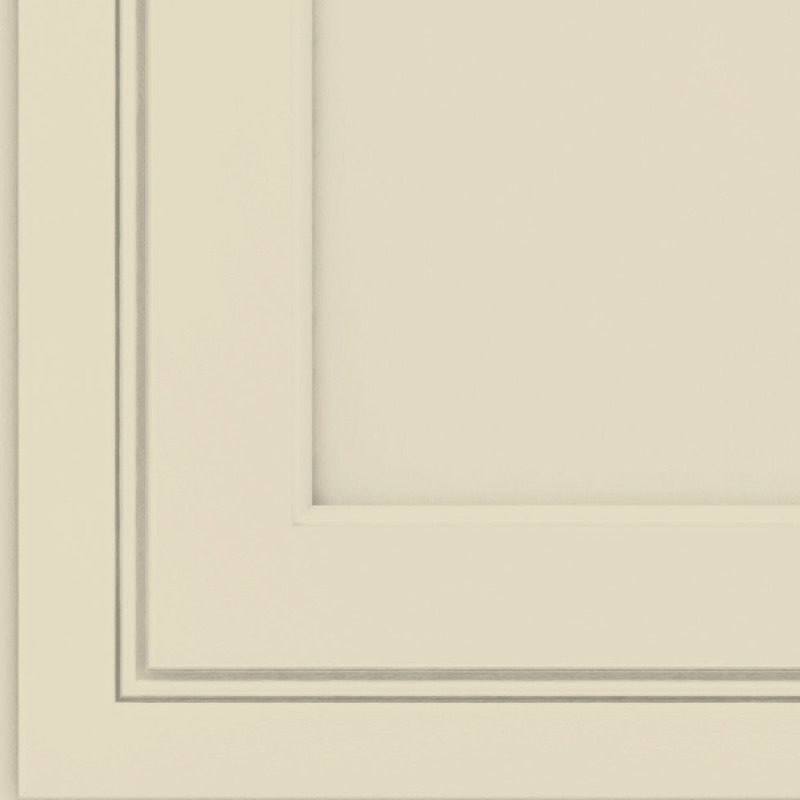 These joint lines are normal and do not affect the strength of the door’s construction. Most painted finishes are available only on maple due to the uniform appearance and smooth, clean characteristics of this wood.